sculptor and architect; b. about 1418; d. after 1490. His earliest known works are four reliefs on the facade of the Cathedral of Modena signed AGVSTINVS. DE. FLORENTIA. F 144. . . . He is supposed to have spent the period between 1446 and 1457 at Rimini, employed upon the sculpture of the Church of S. Francesco under the direction of Matteo de' Pasti. About 1457 he began his most important work, the facade of the oratory of San Bernardino at Perugia, signed OPVS. AVGVSTINI. FLORENTINÆ LAPICIDÆ. MCCCCLXI. architect and sculptor; b. 1412; d. February 21, 1462. Cavalcanti was the foster son and principal heir of Brunellesco. He made the water basin in the sacristy of S. Maria del Fiore (Duomo, Florence). The monument to Brunellesco himself in the Duomo is his work, and the death mask of Brunellesco in the Opera del Duomo (Fabriczy, op. cit., p. 398). A Florentine architect who continued and completed several of the buildings undertaken by Brunellesco. He built the nave of the church of S. Lorenzo in Florence, after Brunellesco's death. He is not to be confounded with Antonio di Tuccio Manetti. architect, painter, sculptor, and medalist. 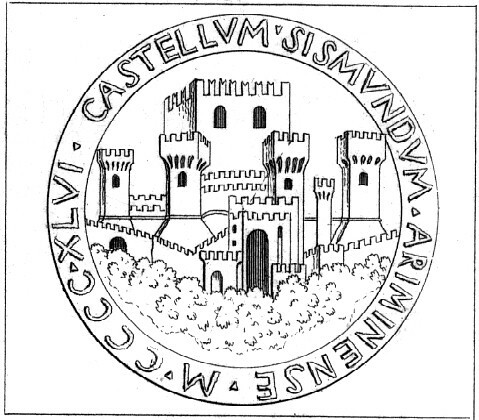 Pasti came from Verona (Italy), and was a pupil of Pisanello, the painter and medalist. About 1446 he attached himself to the court of Sigismondo Malatesta at Rimini, Italy. The remarkable reconstruction of the church of S. Francesco at Rimini (il Tempio Malatestiano), undertaken by Sigismondo, was undoubtedly executed under the direction of Pasti so far as the interior is concerned. A letter to him from Leon Battiata Alberti, dated November 18, 1454, indicates that the exterior was built by Pasti from drawings and directions sent by Alberti from Rome. As medalist he ranks next to Pisanello. 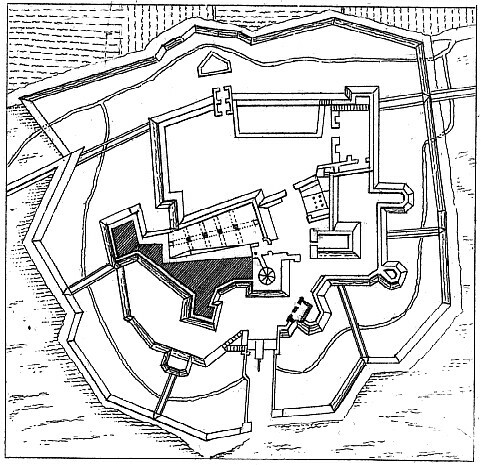 General plan of the same fortress in its present state.